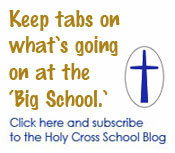 Click to subscribe to the Holy Cross EEC blog and receive notifications of new posts by e-mail. In communion with family and church, Holy Cross Catholic School will provide our students with a high quality education and a Christ-centered approach to the world community. Thursday, October 11th is Blue Shirt Day. Be Cool in Preschool and wear your “Preschool is Cool” shirt. The next Blue Shirt day is Monday, October 22nd. Wow! Wow! Wow! 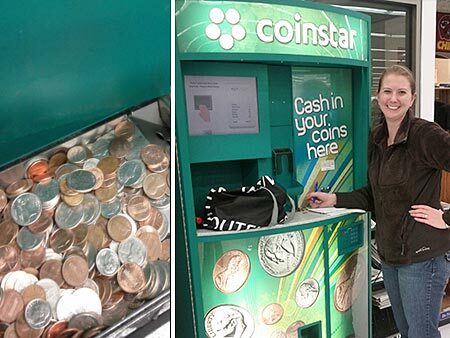 Mrs. Bridges and I made a trip to the Coinstar machine at HyVee to donate our coins from our Pennies for Patients project. We were amazed to find out how much our children collected! The grand total was $728.37! We also collected 6 game tokens, 2 vacuum tokens, 1/2 Franc, 17 cents (Euro), $5 (Mexico), 11 cents(Canada), 9 cents (Caymen Islands), $31.85 (Africa), one green bead, a button, a chocolate coin and a screw driver bit. I am not sure if I counted the foreign coins correctly but we certainly got some interesting “extras”! The class with the most collected was Mrs. Canfield’s class of 12 students. They brought in $257.40! WOW! Mrs. D’s class of 11 collected $96.89. Mrs. Zaenger’s 3 classes of 33 collected $170.96. Mrs. Matt’s 2 classes of 21 collected $90.73. Miss Thurman’s 2 classes of 22 collected $105.09. Last year, we collected over $300 so this year’s amount was definitely more than doubled. Thank you, parents, for helping us out with our service project! You and your children are spectacular! It is amazing to know that 3, 4 and 5 year olds were able to collect $728.37 to donate to the Leukemia and Lymphoma Society! That leaves us all with a good feeling in our hearts but most importantly hope for those children in need.